It can seem for small business owners that there simply isn’t enough time in the day to get everything done. This is especially true for those who handle a great deal of the day-to-day on their own and without the help of a team of employees. In such a scenario, it is essential to put a great deal of thought into how you’re managing your time and adapt if need be. 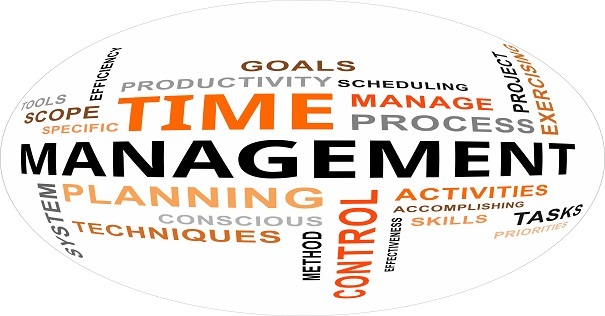 Time management can certainly be tricky, but there are a variety of things you can do to streamline your workday, with the following being just a few examples. Most business owners know that they should be putting together a production schedule each morning, but how many actually do? After all, scheduling your day takes time, which is something that most CEOs simply don’t want to waste on anything but necessities. The fact is, however, putting together a proper schedule will actually save time for you in the long-run, as you’ll have everything you need laid-out in front of you so that when it’s time to take on a task, you don’t need to question anything. A word of advice: don’t try to cram too much into your day, as you’ll inevitably end up falling behind. Instead, carve out enough time to handle each one of your tasks fully; you’ll be much happier with the quality of your work. The more convoluted a project is, the more difficult it can be to stay on track without wasting any time. You could rely on your notes, but there’s no better way to streamline your workday than with project management software. These programs (some of which are web-based) are exceptionally easy to use and allow you to share files with other employees, create production schedules, add important notes and more. Most importantly, they allow you to organize all of your projects in a tidy manner, something that every business owner can benefit from regardless of industry. Best of all, there are more than a few examples of PM software that are available free of charge. Everyone wants to be able to handle all aspects of their business on their own, but sometimes doing so can be next to impossible. If you don’t have someone else on your team to take over a task that is causing you a great deal of stress, it may be worth your while to consider outsourcing. Outsourcing can be expensive, but it doesn’t have to be if you compare prices from multiple vendors before choosing who to work with. Web design, hosting and marketing are just three examples of things that you could outsource, all of which really require the work of a professional as opposed to doing it yourself. It may cost you extra, but the time you’ll save as a result will be well worth it. Managing your time will always be a challenge, but the more careful you are, the closer you’ll get to meeting your goals.